Track material quality down to sample lots. View accurate information in stockpiles and extract the quality you want. Increase throughput and improve site efficiency with unprecedented accuracy in inventory and quality tracking. Equip your operators to better match inventory quality specifications to sales quality specifications. 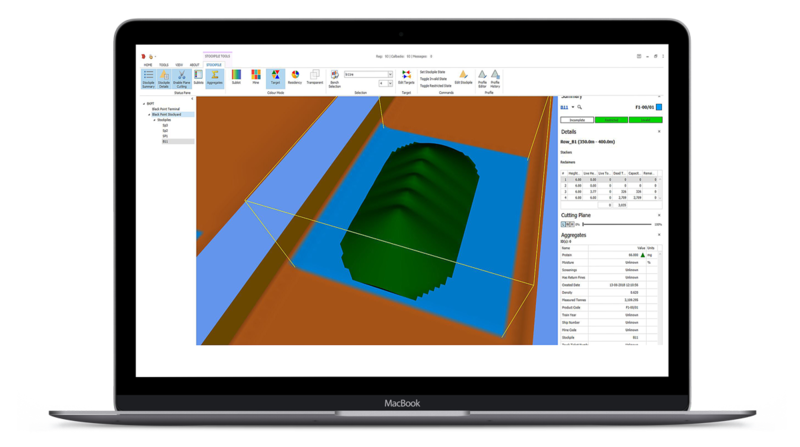 Track and extract the desired quality in stockpiles with a true volumetric physical three-dimensional stockpile model of material quality. 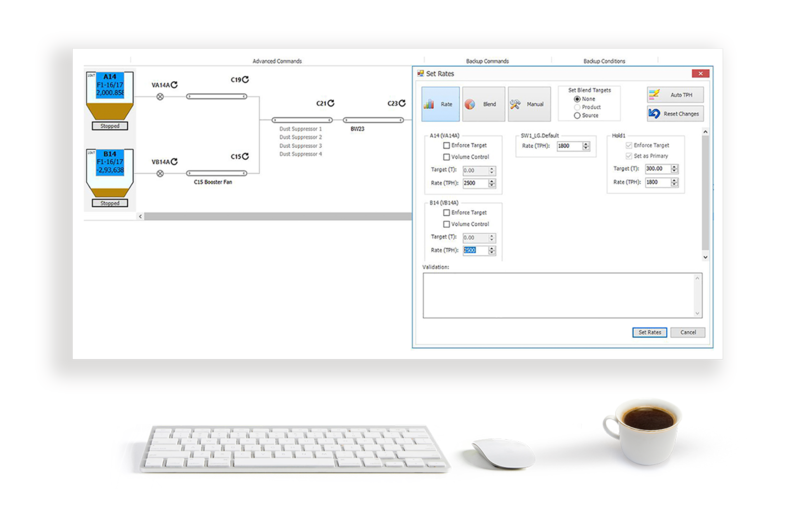 Improve product integrity, uniformity, and production efficiency with real-time visibility into all operations using a comprehensive reporting suite. 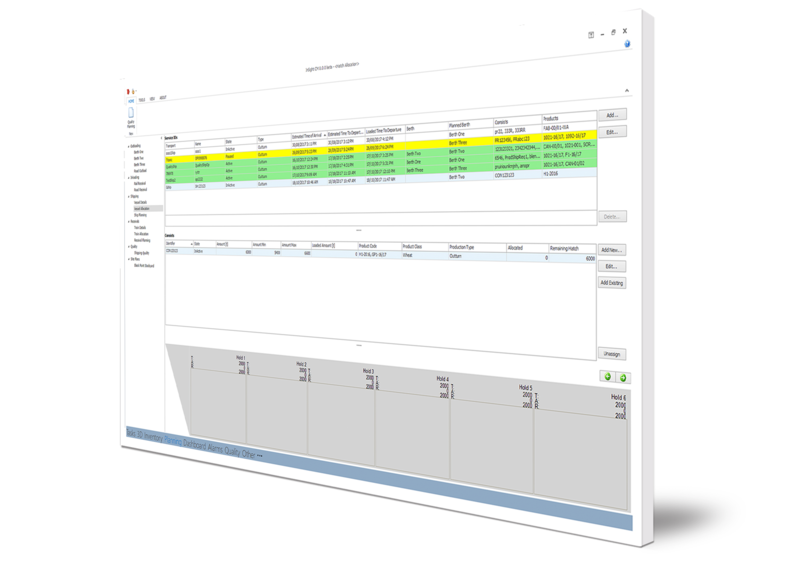 Make better outloading and inloading schedules, with a view into short to mid-term resources, for vessel, train and road allocation. 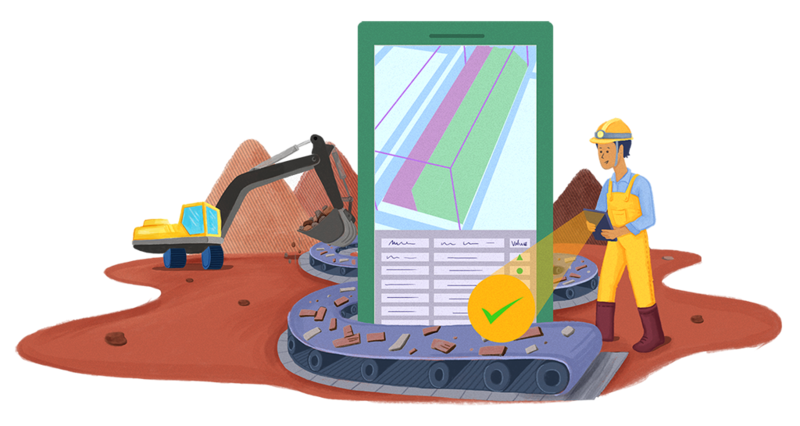 Improve site efficiency with automated planning. Get more value from your products. Increase throughput at your bulk handling sites. Increase efficiency in receival, transfer and loading functions while meeting exacting cargo requirements.